Help us support our organization just by shopping at Kroger. 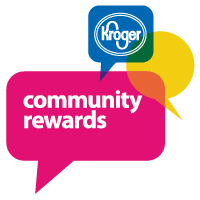 Sign up your Kroger Reward Card to Donate to Operation CatSnip of Kentucky, Inc. Our community Rewards Program # is 30791. Enroll by Phone at 800-576-4377 or online at Kroger.com. At the footer there is a tab for "Community Rewards". Support us if you shop on Amazon, put in your web browser Amazonsmile.com and choose "Operation CatSnip of Kentucky, Inc. It is that simple, no cost to you!